I actually slept last night, because Julia didn’t wake at 1am or something and demand to sleep in my armpit as has been her wont. I lay in my warm bed this morning blinking wonderingly and snuggling my cat. Jeremy brought me hot tea. Then Salome called so I dragged on some clothes and we ran to the farmers’ market for dried apples and apricots, pistachios, pink lady apples, broccolini, tangerines, bread, eggs, dandelion greens and a pot of live basil. Then home to weed the wilderness that our front patch and the jacaranda’s tree well had become over winter; then to Flowercraft for pansies and violets and petunias. I cut back the bougainvillea so that now it is possible to reach the faucet without being eaten by triffids. The Icelandic poppies survived, to my joy. We planted the annuals and the garden looks adorable. Then to Crissy Field where the girls swam excellently, then home to eat Jeremy’s roast chicken with a caprese salad with the fresh basil on it, and last week’s bok choi revived in peanut and sesame oil and a lashing of soy sauce. Nom. Then greek yogurt and strawberries and blueberries for desert, drizzled with orange blossom honey. Om nom nom. And then we crept out into the San Francisco twilight and released a tub of ladybirds into the garden to eat the aphids. One caught a ride in on my shoulder and is now buzzing around the back of the sofa while Jeremy exhorts the children to sleep. Another bright jewel of a day, rounded out with this. My heroine this Ada Lovelace Day is Dr Elizabeth Flint of Christchurch, New Zealand. 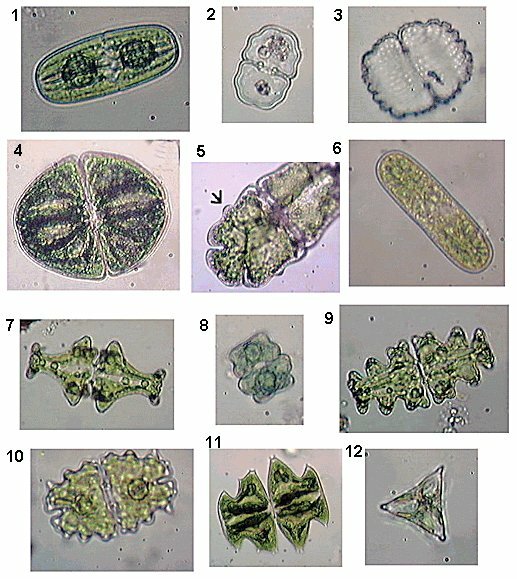 Dr Flint is New Zealand’s leading expert on desmids, which are single-celled freshwater algae of considerable beauty. Dr Flint took her MSc degree at what was then Canterbury College in 1931. She moved to England where she monitored London’s water supply before working for the RAF’s Operational Research Section in World War Two. She returned to New Zealand in the fifties and wrote the three definitive books on desmid taxonomy. Betty is also my mother-in-law’s godmother. I met her on a trip to Christchurch in, I think, January 2001. We talked nonstop for two hours at the cafe in the botanic gardens – for all her stature she is generous and curious and pragmatic and fiercely funny – and then she dropped us at the airport in the 1958 Ford Consul that she had bought brand new. She was working then but has since retired, although not particularly early: Betty will be 101 this year. She was, and is, tireless. To women of her generation – to the Bettys and Rosalind Franklins and Rear Admiral Grace Murray Hoppers and to my Auntie Barb – my geek feminist sisters and I owe more than I can possibly say. These women light my way and let me see what I can be, and what my daughters can be. James May’s Toy Stories is ridiculously optimal family viewing material. We simply provide the children with the relevant toys. Claire produced a very fine playdough flower during the plasticine-at-Chelsea-flower-show show. It’s still in a vase on the kitchen bench. Last night the children watched Lego and built their own tall, frail towers. When I met her in Sydney in January my childhood friend Anna asked if I still believed in God, and I said “Oh, no,” which felt at the time and still feels like an evasion (and also unfairly dismissive.) That said, I still don’t have anything well-formed to put in its place, though, so consider these notes towards… um, something? Maybe a provisional explanation of why the Hubble Ultra Deep Field helps me to be happier, more compassionate and more mindful of my own death. People of faith so often seem to forget that a god who gives their lives meaning too often provides them with justification when they want to wipe out other people who believe in other gods, or in nothing. My own belief – that we on our short-lived planet are part of a universe simultaneously perfectly ordinary in that there it is and incalculably mysterious in that it is beyond our comprehension – does not feel like believing in nothing and would never make me recruit anyone for slaughter. It feels like a state of infinite possibility, stimulating and enjoyable – not exactly comforting, but acceptable because true. And this remains so when I force myself to think about the most alarming aspect of what I can understand, which is that we will eventually become extinct, differing from the dinosaurs only in contributing a good deal more than they did to our own fate. And it also remains so when I contemplate my personal extinction. Last night’s turnout included a Rachel, a Rebecca, a Naomi and an Elizabeth. We need to recruit a Mary or an Eve so we can start a Biblical Heroine Fox Force Five. Liz silently hands me chocolate. And the rest was balanced and forward and unbelievably freakin FUN! And Erin used me as a GOOD EXAMPLE of how to ride corners with a correct leg! THIS NEVER HAPPENS! Oh! I am still warm and happy at the thought of it! Then home and up through my lovely neighborhood to Ada’s party where I met all our delightful friends and SLID VERY FAST. Note that I shall no longer attend parties that do not feature slippery slides the length of a city block. Then grocery shopping with a still-cheetah-faced Julia, who greeted her public with great naturalness and charm. Then baths and James May’s Toy Stories and roast chicken and bedtime and Bebe curled up in my arms. You should try it! It is so great! ETA: Um. And then something completely amazing happened. my lucky, lucky, happy life.